Although attention deficit hyperactivity disorder (ADHD) can be a mental health issue with disruptive effects on your daily life, the good news is that there many ways to manage it and lead a happy and productive life. Medication is the most common way to manage ADHD, but there are several other ways not related to drugs that can be of great help. At York Region Psychological Services, we recommend finding treatments that work for you, and then working your way towards other alternatives that have the potential to be of added help. Here are some behavioral and lifestyle tips to manage your ADHD. 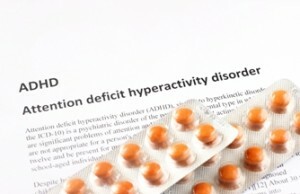 Stimulants like Vyvanse, Concerta, and Ritalin all work to increase focus and calm in people with ADHD. These drugs are the most widely prescribed medications for ADHD, but it doesn’t mean they’ll be a perfect fit for you. Some drugs will yield more side effects, like nausea, dry mouth, insomnia, and more, while other drugs won’t even have a noticeable effect. Moreover, you might not even need a stimulant, as several people with ADHD have found more success with non-stimulant drugs. The important thing to remember is to speak and work closely with your doctor to find the medication that works for you. It’s perfectly understandable to be wary of medication. Fortunately, cognitive behavioral therapy can help change the behavior of people with ADHD, helping them focus better on their self-confidence and thought patterns, with the goal of dealing with day-to-day challenges successfully. While not recommended as a replacement to medication, cognitive behavioral therapy can help patients manage their behavior, potentially yielding better results than using drugs alone. 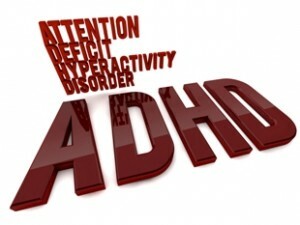 Education is key to learning and managing the symptoms of ADHD. The more information you have, the better you can recognize problems and develop strategies to overcome challenges. Education also helps reduce feelings of guilt, shame, or blame by knowing treatment consists of more than just “trying harder” or suppressing certain thoughts and behaviors. Simply put, educating yourself brings you closer to acceptance.